Living a Fit and Full Life: Help Kids Avoid Summer Brain Drain with Peaceable Kingdom! Help Kids Avoid Summer Brain Drain with Peaceable Kingdom! The Hide-and-Find Stacking Block Game! Where's Bear? combines two favorite activities -- stacking blocks and finding hidden objects -- into a game! Parents and kids take turns hiding and finding Bear under the sturdy nesting boxes. Each box illustrates the rooms in Bear's house and includes a matching game. A wonderful first board game for kids that was created specifically for you and your two year old. With 5 quick games in total, young players will have lots to explore and play with Where's Bear? Kids work together to banish Mr. Winter from their beloved garden! Different card combinations keep the game fun and interesting. Watch out, mermaids! The sea witch is on the move. Together, players help the mermaids to swim to Mermaid Island before the witch gets there. Spin, move and pick up a wand to gain the power to defeat the Sea Witch. Fun sticker activity books for kids! Add this book and its stickers to your sticker collection, use the stickers inside for your next art masterpiece or stick them all over a letter to your best friend! The possibilities are endless with so many stickers. 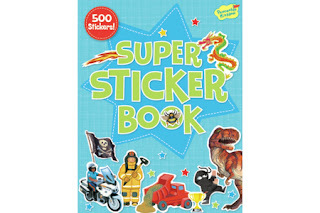 This giant book of stickers includes favorite themes like dinosaurs, sports, vehicles and more. Over 500 stickers to play with! 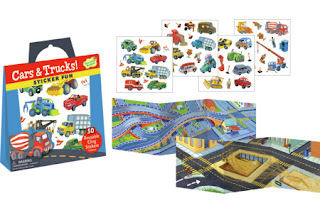 Break out this sticker activity book any time you need some fun! This book is great for car or airplane rides, waiting rooms or any old play time! 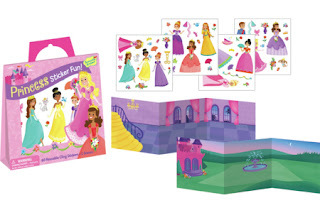 Come along on a princess adventure in your activity book! 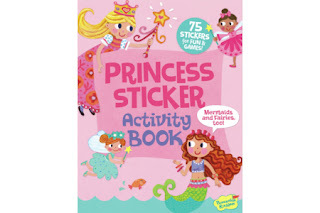 Create your own magical world, dress up princesses, solve puzzles...and do it all over again with repositionable stickers! Great for kids on the go! Help kids avoid summer brain drain with Peaceable Kingdom! 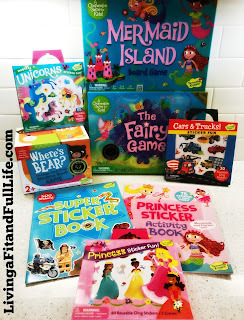 Peaceable Kingdom has an amazing selection of games and activities to keep kids busy while helping them to learn which is something this homeschooling mom of 4 loves. 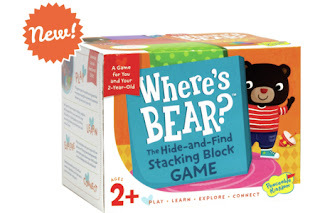 Where's Bear is an adorable game for little ones that my 2 year old son absolutely loves. He loves to stack blocks and find objects so this game is right up his alley. The little bear is adorable and he also love to hide the bear in the boxes so his sisters have to find it. It's the perfect game to get toddlers involved in family game night! The Fairy Game is one of my five year old's favorite games. One, because she loves fairies but also because she loves to match the Fairy Cards and gather the hidden Magic Gems before 4 snowflakes land on one flower. 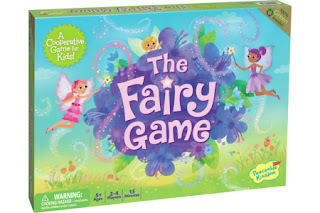 The Fairy Game is the perfect game for the whole family and my family and I had a blast playing it! Mermaid Island is another favorite in our house! With 3 girls you better believe we also love mermaids. Together, players help the mermaids to swim to Mermaid Island before the witch gets there. Spin, move and pick up a wand to gain the power to defeat the Sea Witch. As a mom of 4, I love that this is a cooperative game where everyone wins or loses together. 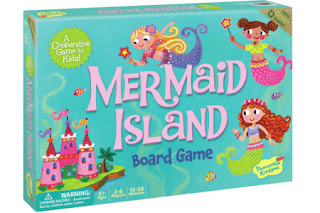 Mermaid Island is a terrific game for kids to play together and since there's no competition, there's no fighting! 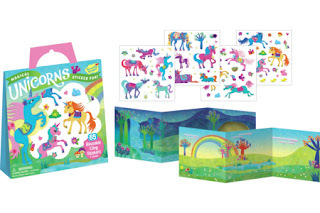 Blue Super Sticker Book, Princess Fun sticker activity book, Cars & Trucks, Princess and Magical Unicorns sticker and activity books are the perfect way to allow kids to enjoy playing with stickers without the mess. I love stickers, just not on my walls, doors and various other places I've found them around my house which is why I love sticker and activity books like these from Peaceable Kingdom! The book provides a place for the stickers so they don't end up everywhere else and my kids get to enjoy placing the stickers throughout the various scenes in the books.They're also perfect for keeping kids occupied while you work or during car rides. I know many of us are getting ready for our last summer vacation and I promise you these activity books are a life saver for road trips! Peaceable Kingdom has everything you need to help kids avoid summer brain drain and have a little fun along the way!